Bored with the factory-issue fog lights on your Jeep and want to snazzy up the look of your front end? Instead of driving around in a fog, boost the look of your vehicle with Mopar Chrome Fog Light Bezels available at JustforJeeps.com. 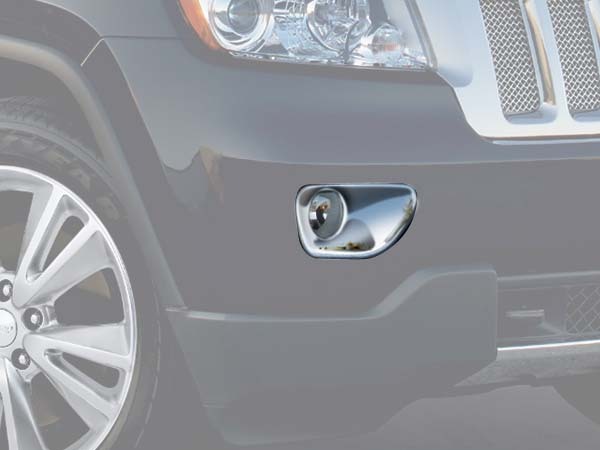 Fog lights help your sharpen your view of the road in foggy conditions, and these fog light covers will help sharpen the appearance of your Grand Cherokee, if it was manufactured between 2011 and 2013. Comes as a pair of chrome fog light opening Bezels. Easy removal and replacement of old bezels. Really dressed up the front of my 2012 GC Laredo. Fit perfect and add a nice bit of pop to the front of the Jeep. These bezels replaced the black ones that came on my Grand Cherokee. Very good quality Mopar part and very easy to install. Total installation less than ten minutes. Highly recomend. Easy to pop the old out and pop the new ones in. Looks great and cleans up the front end look quite well. Overall, not a bad purchase. 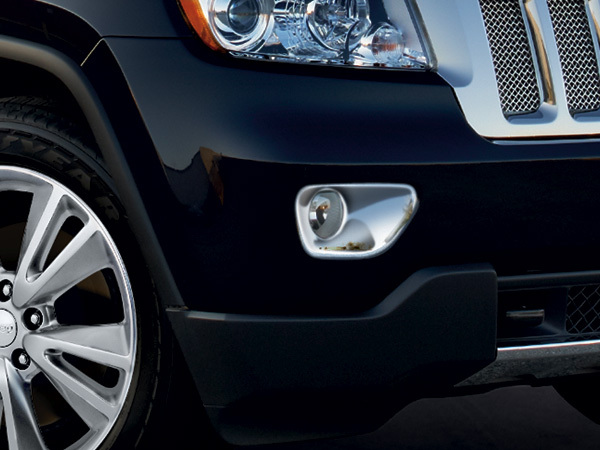 extremely easy to install even a novice could install with no problem makes a big difference on the front grille! Bezels were super easy to install and really make the front end of my Limited POP!